The brand name Crafter and the company’s own South Korean manufacturing site, which is one of the most modern factories in Asia, are symbols for the successful match of high-tech production and the traditional craft of guitar-making. Crafter’s history starts in 1972 when HyunKwon Park founded his business in the basement of his home in Seoul. Within a compact 20 square metre space, HyunKwon built classical guitars for the Korean domestic market with four other craftsmen. By 1978 they had outgrown their basement space and moved to bigger premises, just outside Seoul, in order to fulfil their growing customer orders. All Crafter guitars are made by a Korean manufacturer of acoustic and electro-acoustic guitars. 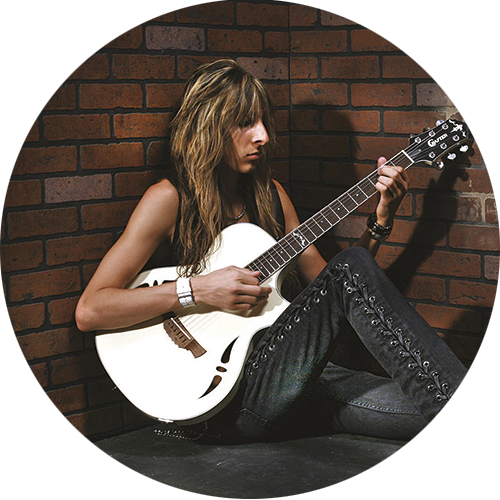 We also manufacture Cruzer (Electric) and Ashland (Acoustic) guitars and accessories. Discover what else we create here at Crafter. Indulge your folk side with a Crafter mandolin. Crafter have created two distinctive styles in a selection of wonderful colours so that you can really stand out on stage. Some Crafter mandolins come with the CR-T 2V. All Crafter guitars apart from the LITE and HiLITE Series come with a Gig Bag as standard. Crafter guitar Standard or Deluxe Gig Bags are shipped with each guitar except for the Crafter Anniversary Models which come with a Luxury Gig Bag. Why not take a tour of the Crafter factory? Take a look in the factory and see how our guitars are built in this short video. Sound samples of our guitars.